Due regulations set by states and OSHA’s federal guidelines, medical waste must be disposed of in a certain matter. This is also reinforced by other federal agencies such the U.S. Food and Drug Administration (FDA), the Department of Transportation and other state-level regulators. After the 1988 Medical Waste Tracking Act expired in 1991, states were given the freedom to set laws and regulations to govern the medical waste. Disposing of the medical waste that is generated at your facility is a necessary step to ensure compliance and safety. Most of this medical waste is generated at healthcare facilities across the United States. These facilities generally create 3 types of waste, medical/biohazardous, pharmaceutical and sharps. After determining the type of waste, one must dispose under that categories guidelines. For general medical waste, red biohazardous containers will be needed for collection. This includes paper towels, wipes, gloves, or dressings with small amount of blood. Any item that could potential puncture skin will be disposed in a “sharps container”. This container is puncture proof and leak-resident, for safety insurance. Companies such as Glycon llc. Disposal, offer an affordable sharps/pharmaceutical mailback program that is the cost-effective and hassle-free. Labeling of the type of medical waste that is within a container is a must. As OSHA and most state regulations do require this step, so waste can be separated and taken care of appropriately after your disposal. Choosing not to follow the laws regarding medical waste, set by your state and OSHA, will result in hefty fines and potential closure of your facility. Not to mention, practicing unsafe methods of disposing medical waste could be potential harmful for employees and other personal. Medicines improve our quality of life, but there are some important issues regarding the proper disposal of unneeded or unwanted medicines. The disposal of pharmaceuticals when no longer needed poses a threat to our environment. Glycon LLC has developed a program to manage these unwanted pharmaceuticals safely and in compliance with all federal, state, and local laws and regulations. One of the ramifications of mismanagement of unused medications is the environmental effects resulting from poor pharmaceutical disposal practices. 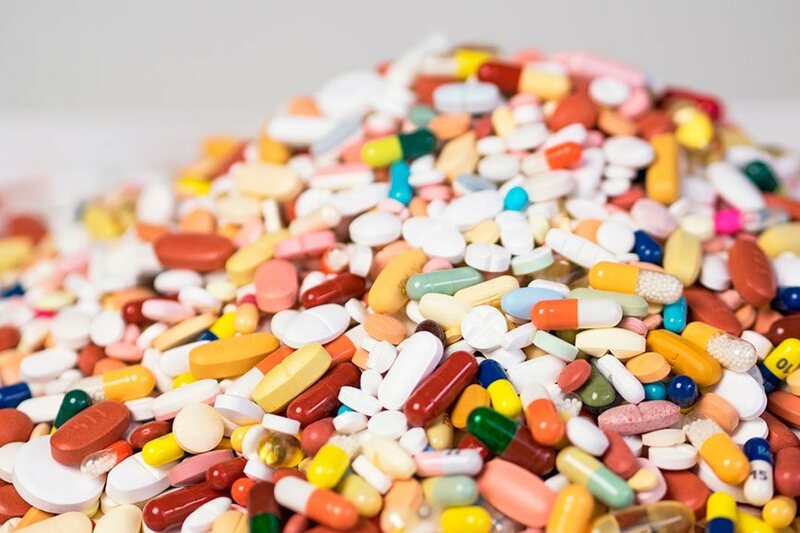 Through the years, pharmaceuticals have been largely discarded through either flushing or “sinking” them into the wastewater stream or discarding them into the solid waste stream. In the first instance, the wastewater is treated to remove physical, chemical, and biological contaminants, such as sediment, bacteria, and viruses. However, this treatment does not remove all organic molecules, which are inherent in pharmaceuticals. Thus, many of these molecules remain entrained in the treated waste water which is discharged into reservoirs, rivers, or lakes. Likewise, drugs disposed of as solid waste (into landfills) may leach these organic molecules into aquifers and into the fresh water supply. Once these “trace drugs” are in the water supply, they present dangers to aquatic life. Dangers also result from water being collected for treatment at water treatment plants and then piped to consumers. Most treatment plants are not designed to remove all drug residue. The Environmental Protection Agency established the Resource Conservation and Recovery Act, commonly referred to as RCRA, in 1976. RCRA is the federal law that governs the disposal of solid and hazardous wastes. Discarded pharmaceuticals are solid wastes, and it is estimated that between 5% and 10% are also classified as hazardous wastes when discarded. Under the current federal hazardous waste regulations, until a pharmaceutical is actually discarded, or the decision is made to discard the material, the pharmaceutical is not subject to the RCRA hazardous waste regulations — since a material must first be a solid waste before it can be considered a hazardous waste. When a pharmaceutical is no longer usable, or the decision is made by the generator to discard the material, the RCRA regulations apply, and the generator must determine whether the waste is a RCRA hazardous waste. When faced with the question of whether or not a waste is regulated as hazardous under RCRA, turn to 40 CFR 262.11. This regulation will remind you of the four steps in the RCRA hazardous waste identification process. Listed Wastes – Wastes that EPA has determined are hazardous. The lists include the F-list (wastes from common manufacturing and industrial processes), K-list (wastes from specific industries), and P- and U-lists (wastes from commercial chemical products). Characteristic Wastes – Wastes that do not meet any of the listings above but that exhibit ignitability, corrosivity, reactivity, or toxicity. Universal Waste– Batteries, pesticides, mercury-containing equipment (e.g., thermostats), and lamps (e.g., fluorescent bulbs). Mixed Wastes – Waste that contains both radioactive and hazardous waste components. Verify whether the discarded pharmaceutical waste appears on any of the hazardous waste lists and/or exhibits at least one of the four characteristics, and if it does, manage it under RCRA subtitle C hazardous waste regulations. Because of the size of our current pharmacopeia and the many different formulations, dosages and modes of administration of these many drugs, healthcare facilities often face a daunting task when attempting to properly classify their waste pharmaceuticals for disposal purposes. The EPA believes many healthcare-related facilities are unaware of their RCRA obligations. 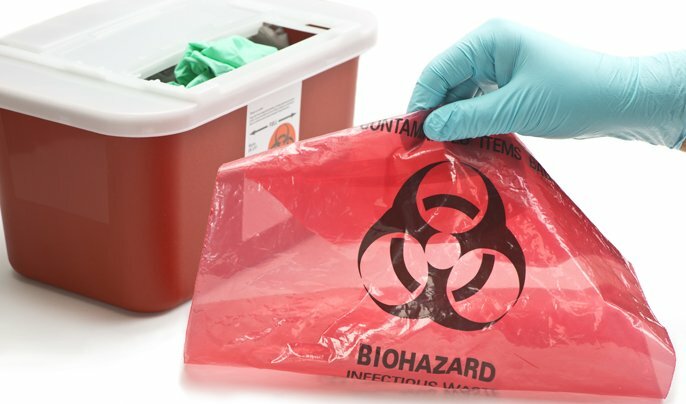 RCRA hazardous waste management requirements often are unfamiliar to healthcare workers, retail pharmacists, and other generators prompting them to dispose improperly of hazardous pharmaceutical wastes as municipal or bulk wastes. The problem of treatment of medical waste pollution in the US. Your home now produces medical waste that cannot go into the regular trash. it’s a more convenient option to manage care from home. It’s a more convenient option to manage care from home. From diabetes to renal failure that requires dialysis treatment home medical care is an important aspect of managing a variety of diseases. It means your home now produces medical waste that cannot go into the regular trash. It can be risky if you don’t dispose some items such as syringes, soiled bandages, used dialysis filters, needles, lancets, disposable sheets/clothing properly and safely. Even old medication can seriously harm family, friends, and sanitation workers. The primary type of at-home medical waste consists of sharps. Hypodermic needles, lancets, IV tubing with needles, glass tubes, and syringes no longer in their original containers are all considered sharps. Medical sharps can poke through garbage bags causing injury to sanitation workers and others if you improperly throw them into household garbage. Children and pets may come in contact with the household garbage. Used needles can transmit serious diseases. Place needles, syringes, lancets and other contaminated sharps in any puncture-resistant and disposable household container. Medical waste management at home isn’t so difficult. However it still requires precision and care. Containers should be made of plastic or metal and have a small opening so no one can stick their hands into it. An empty bleach bottle, laundry detergent bottle, or metal coffee cans can also be there. At home, depending on your state, you can treat your own medical waste by filling the container with one part bleach solution and ten parts of water and allow the solution to soak for 20 minutes to sterilize your sharps. This solution can be poured into the sink, but then you must seal the cap with heavy-duty tape before placing the disposal container into the garbage. Not all municipalities may allow this, however. Many states have collection sites for sharps disposal. Before you place soiled bandages, dialysis machine filters, disposable sheets, clothing, and medical gloves in the regular trash dispose of separately in securely fastened plastic bags. Home medical care means making life as easy and convenient as possible for you and your home health aids. We know it well. Our company has safe and effective methods of medical waste disposal so you can do nothing but leave the medical waste worry to us. Don’t treat medical waste yourself, or if you’re unsure about collection sites. Medical waste is often referred to as regulated medical waste, biohazardous waste, or, more merely, hazardous waste, medical waste is more known as biomedical waste. According to DEEP, medical waste, or biomedical waste is defined as “…infectious, pathological and/or chemotherapy waste generated during the administration of medical care or the performance of medical study involving humans or animals.” State law eliminates hazardous and radioactive waste from biomedical waste. There are very specific rules for medical waste disposal depending on the type of waste. Infectious waste, such as sharps and body fluids, must be disposed of via incineration or autoclaving. Per DEEP, chemotherapy waste and pathological waste, including human tissue must be disposed of by incineration. Storage of medical waste is rather stringent. Medical waste must be stored away from other waste materials and only accessed by authorized transporter, personnel, and treatment facility operator. The most unusual regulation is what happens when a patient asks to keep a limb or organ, whether it’s for religious or personal reasons. The limb or organ in question is created at a hospital, the hospital is considered “generator,” the facility bears the responsibility of proper disposal. While it’s not exactly outlawed to pass these artifacts to patients, the state endorses that healthcare specialists caution patients about disposal practices and dangers of infection. As a medical waste generator, your best development of action is to hire a compliant medical waste disposal company to take care of the complicated disposal process. Our program helps your staff treat with new and revised procedures. Contact today to discuss how we can help you comply with your medical waste disposal Glendale and CA state medical waste requirements.